Reve' M. Pete Ministries, Inc. 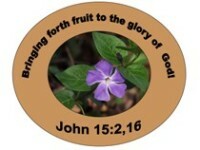 Bringing forth fruit to the glory of God! Delivering Hope to Starving People around the World! Web site design by Albany's Internet Mall.